When faced with competing the demands of emerging opportunities and strategic planning, DeSales Community Housing Corporation in South St. Louis City has adopted a flexible approach. As DeSales Executive Director Tom Pickel puts it, “opportunity doesn’t always come just as you want it, when you want it,” especially when you’re working to grow your organization’s sustainability and resilience. The DeSales team’s most recent accomplishment has the potential to help them do that. Earlier this year, DeSales was approached by the leadership of the St. Louis Equity Fund (SLEFI) to discuss Community Asset Management Company (CAMCO), a property management company SLEFI had formed 20 years before. SLEFI wanted to know if DeSales would be interested in taking over management of CAMCO’s portfolio of about 1,100 units that are concentrated primarily in St. Louis City. This isn’t the first time that DeSales’ property management expertise has drawn the attention of community stakeholders. 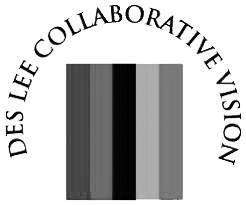 The non-profit, 501(c)(3) community development corporation (CDC) was founded in 1976 to promote investment in the Fox Park and Tower Grove East neighborhoods. DeSales began developing housing during the 1990s, but it didn’t enter the property management business until 2005, when it formed Fox Grove Management. Fox Grove was created to manage DeSales’ own portfolio of about 200 apartments. A few years later, then-President of Northside Community Housing, Inc. (NCHI) Ernecia Coles asked DeSales if Fox Grove could take over the management of NCHI’s properties in The Ville neighborhood as well. DeSales wasn’t quite ready to start managing for other organizations at that point, but when Coles asked again in 2009, they agreed. Fox Grove now manages over 190 units for NCHI. As of early October, Fox Grove had a total of just over 550 units under management. But Presson was receptive to the idea. “He realizes, as much or more than I do, that if we’re going to have a sustainable, resilient organization, it’s going to have to get bigger,” Pickel explained. Additional revenue from the expanded management company could eventually allow DeSales to expand some of its programming in other focus areas, like community health. It could also make it easier to recruit, promote, and retain good staff members. There are deeper reasons DeSales decided to move into the property management business in the first place. As Pickel likes to put it, “good property management iscommunity development,” especially in the kinds of neighborhoods where DeSales works, which have a lot of multifamily housing. Management of such properties is a critical function that is all too often overlooked. Venturing into housing development and management has also enabled DeSales to make a bigger contribution in the neighborhoods it serves. “We’re able to capture some of the wealth and revenue that a neighborhood—even a low-income neighborhood—generates and reinvest that in the neighborhood,” Pickel explained. So far, the expansion of Fox Grove Management seems to be going well. Pickel is taking the transition one step at a time. “When people congratulate me, I say, ‘come back in about 12 months and I’ll let you know whether we deserve congratulation or condolences,'” he joked. But Pickel and the rest of the DeSales team are confident that the change makes strategic sense for the organization. He said that surprise opportunities like this one are a good reason for organizations to retain a measure of flexibility when it comes to strategic planning: it can be hard to predict how the external environment might change tomorrow, let alone five years down the road.